President Samuel L. Stanley Jr. took the University’s mission to create a safe, empowered and equitable campus culture for all to an international level on Wednesday, Sept. 26. Since 2015, President Stanley has served as one of 10 university HeforShe Impact Champions, fostering gender equity as part of the UN Women HeForShe movement. 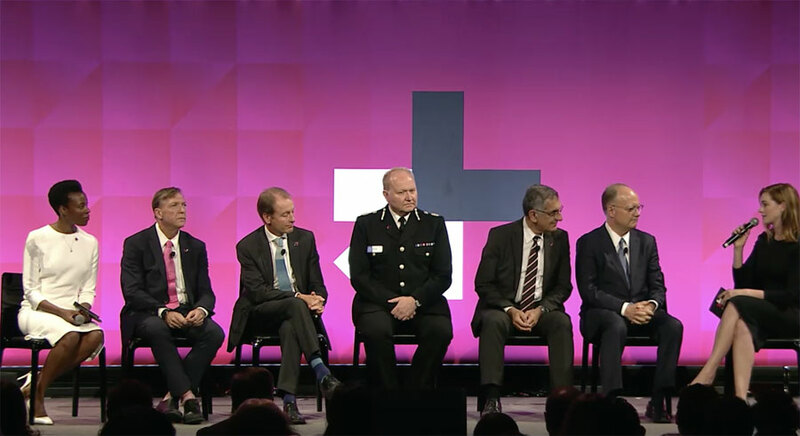 The annual HeForShe 10x10x10 IMPACT Summit brings together 10 heads of state, 10 corporate leaders and 10 university presidents for a concentrated discussion on ways to combat gender disparity. This year’s event featured several world leaders including Guðni Thorlacius Jóhannesson, president of Iceland; Sauli Niinistö, president of Finland; Peter Mutharika, president of Malawi; and Queen Rania Al-Abdullah of Jordan, along with UN Goodwill Ambassador and actress Anne Hathaway and actor and activist Winston Duke. 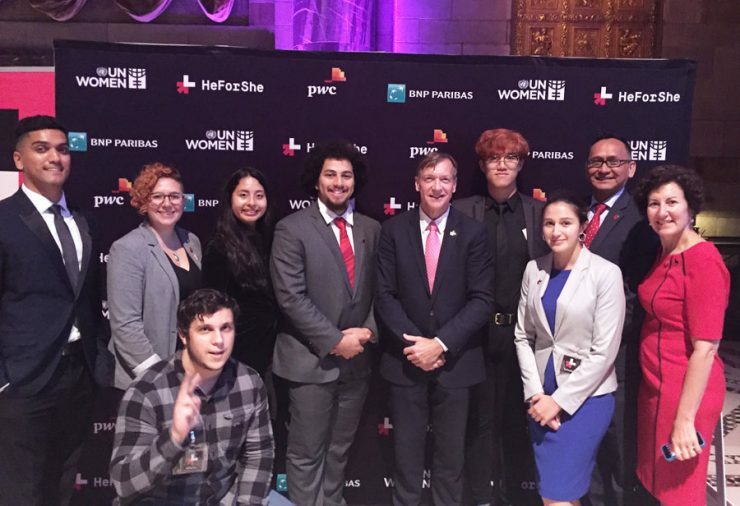 President Stanley is joined by students and campus leaders at the 2018 HeForShe IMPACT Summit. 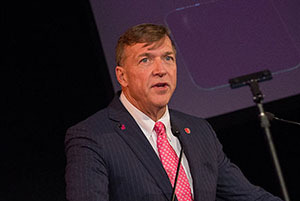 Speaking on a panel at the HeForShe IMPACT Summit in Manhattan, President Stanley told global leaders that Stony Brook has embraced its role as an IMPACT 10x10x10 Champion. He noted that there are multiple ongoing initiatives that give students a better understanding of the importance of gender equity as well as key resources available on campus to help with gender-based violence. The goal is to create an inclusive environment that encourages respect for people of all genders. 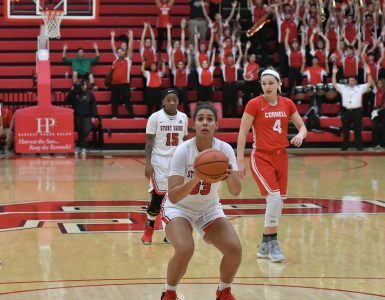 Stony Brook’s participation in HeForShe has led to a host of new initiatives, including diversity and gender equality programs for all first-year students; mandatory classes on gender and gender-based violence; a partnership with athletic and Greek organizations to educate students on gender equality, consent and healthy choices; and a vibrant HeForShe student organization that serves to raise awareness of the gender gap while developing strategies to combat it. 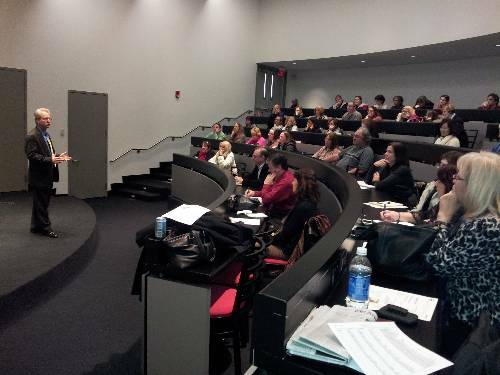 Additionally, next month, Stony Brook will be holding a half-day training session for faculty and staff on gender based violence, hidden bias and power dynamics. One in three women will face some form of gender-based violence in her lifetime. As part of his role in the Summit, President Stanley shared the University’s focus on ending gender-based violence and development of peer-to-peer programs during a panel discussion called “Ending Gender-Based Violence.” The panel included University of Leicester President Paul Boyle and University of São Paolo President Vahan Agopyan, among others. “We’re not just asking people to stand by, we’re asking them to stand up for what’s right and intervene. … We want people to be upstanders,” President Stanley said, noting that peer-to-peer communication on these issues is most effective. He added that the University has an effective strategy called “Know Before You Go” that enlists students in preventing gender-based violence. Those involved in this program speak to their peers who are leaving for weekend off-campus parties. They ask them if they know where they are going, who will be there, who is the driver, and how they will get back to campus. They also hand out cards with these questions, as well as information on campus resources for dealing with gender-based violence and alcohol abuse. 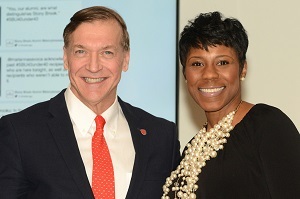 The commitment to change also extends into academics at Stony Brook. 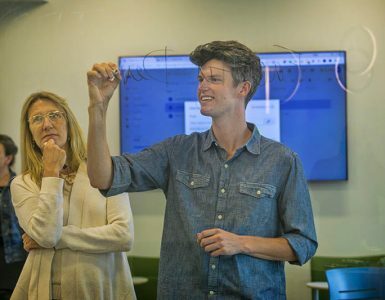 The University is working to close the gender gap in two major ways: increasing graduation rates for men and increasing the number of women pursuing careers in STEM. In the 2018 HeForShe Emerging Solutions Report, an annual collection of each IMPACT champion’s progress and future plans, the University wrote that it is implementing strategies that come out of its research into barriers to male student success. These include working with students to understand that tutoring and advisement are important elements of academic success and that asking for help is a positive thing to do. President Stanley, second from left, participates with other IMPACT Champions in a panel moderated by Anne Hathaway. An increased investment in Stony Brook’s Women in Science and Engineering program is helping to grow enrollment of women in STEM disciplines. This effort has resulted in higher retention rates and enrollment. It involves the development of a nationally recognized curriculum, improved outreach and recruitment for female students in disciplines with low representation of women, the development of female STEM role models and mentors and support for pipeline programs in K-12 schools to inspire young students to pursue careers in STEM. 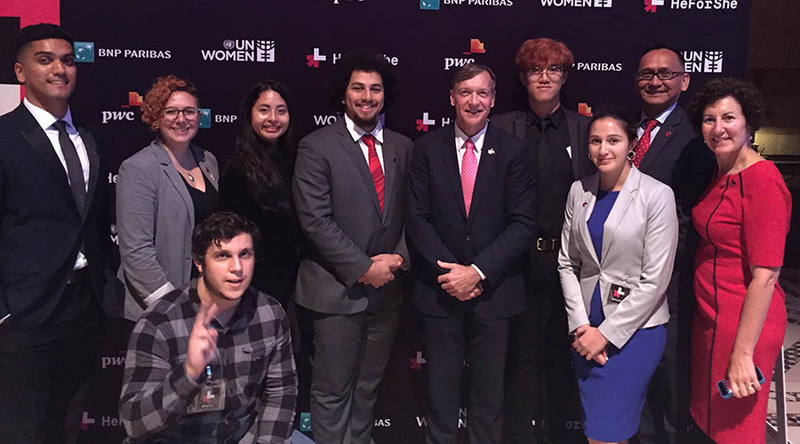 Learn more about HeForShe; view Stony Brook’s chapter of the Emerging Solutions Report; and watch highlights online.